Wotton Printers are able to produce top quality leaflets and flyers by means of digital print or lithographic print. Operating in Newton Abbot, we are ideally positioned to provide people based in Devon with leaflets or flyers in small or large quantities. We always seek a fast turnaround and in most cases we can have your order ready on the same day. With larger orders we tend to use litho print to ensure your leaflets and flyers are printed quickly and in a more cost effective manner. This helps us to help you, saving time and money for everyone involved. When it comes to marketing strategies, leaflets and flyers can play a vital role in ensuring your company moves forward and that exposure is as high as possible . Marketing doesn’t have to be expensive either and over the years leaflets and flyers have proved to be an extremely cost-effective way of gaining new customers and making sure your business services and products are seen by the right people. Creating brand awareness is extremely important, regardless of where you work, so it’s important that your leaflets or flyers are designed with your brand in mind so that you create the ultimate impression. Leaflets and flyers are a great way of showcasing what your business has to offer. Whether it’s through the use of digital printing or litho printing, Wotton Printers are able to produce beautiful results in full colour on double sided paper. Leaflets and Flyers can be an extremely powerful tool when it comes to attracting new customers and it’s important to get the design right. If you put thought into what you are doing and stick to the rules, you will find you have more success with your leaflets. Don’t try to cram too much information in, think about which images you use and how you can engage with people in a different way. By doing this, you are effectively handing someone a piece of paper that sells your company’s services without you even having to open your mouth. Tell the customers what they want to hear, show them what they want to see and your leaflets and flyers will help you attract new business, and more importantly, bring in more revenue. 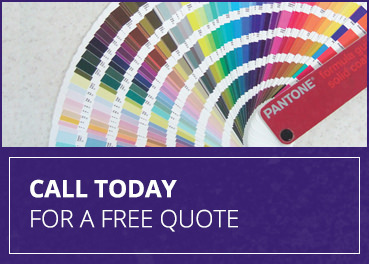 Wotton Printers have a team of professional printers on hand ready to design, print, and deliver your leaflets and flyers to you. If you live in Newton Abbot or the surrounding Devon area, make sure you get in touch with us today and ask us any questions you might have. We can work closely together to come up with stunning results that you and your customers are sure to love. We look forward to working with you soon. Please don’t hesitate to give us a phone call today and see if we can beat your current printing price of leaflet and flyer printing. Our Leaflet & Flyer Printing Service covers Newton Abbot, Torquay, and the surrounding Devon area.